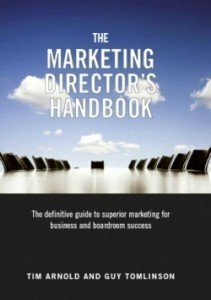 The Marketing Director’s Handbook is a book that all marketers should keep by their side. It is truly unique. Containing the distilled wisdom of top marketing directors it is also the definitive guide to help you manage a marketing team. Specifically to lead and represent the marketing function at board level and optimise your marketing effectiveness. Packed with best practice insights, practical ideas, advice, and strategies to help you drive the profitable growth and value of your organisation. Contains a comprehensive range of simple tools and models to help structure and enhance your thinking. Concise, jargon free and easy-to-read, use and digest. Anecdotes and visuals breathe life into learning points. 30 chapters usefully labelled by the type of job or activity they’ll help you undertake. Available in hardback and e-book (epub) formats for your desk, smartphone or tablet. 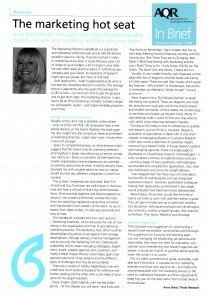 “Today’s marketing director must be informed, analytical, creative, inspirational … and successful – fast. This guide provides an ongoing guide to succeeding in the toughest job in business. Don’t leave your desk without it” Hugh Burkitt, Chief Executive, The Marketing Society. 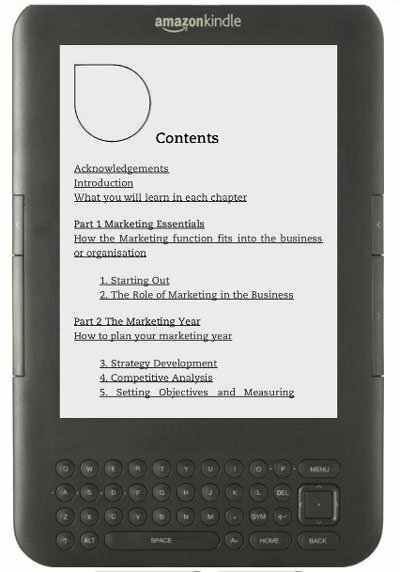 “I use The Marketing Director’s Handbook as a text for my marketing management and strategy class at the university. It is the best book I’ve found on this subject.” Carolyn K. Shiery, Professor of Marketing and Director Institute of Strategic Marketing, Concordia University, Irvine, Canada. “A substantial and impressive reference book and at £49.99 delivers excellent value.” Anne Ward, AQR In Brief. Order now and we’ll send you a FREE digital copy of new Chapter 31 – Managing Digital Marketing by return. Hot-off the press, 27 pages lift the lid on many online marketing secrets. They also explain strategies to give your brand the edge over your competitors. For a dedicated gift copy, send us a note in parallel with your order to handbook@themarketingdirectors.co.uk. A pdf version of chapter 31 will be sent to you within 24 hours. Buy a second-hand copy of The Marketing Director's Handbook. Slightly damaged spine, though new cover. While stocks last.